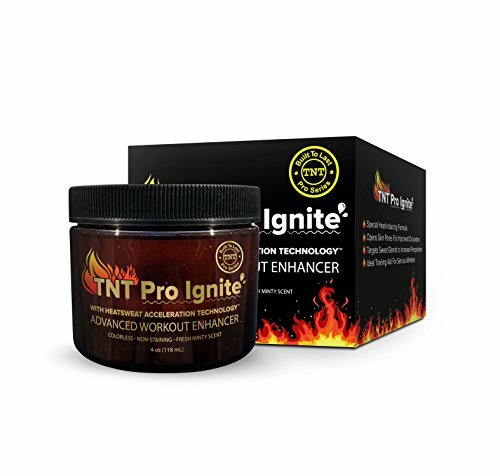 TNT Pro Series presents TNT Pro Ignite; the ideal training aid for the serious athlete and anyone looking to sweat away the pounds using a colorless, non-staining advanced workout enhancer specially formulated to open pores, improve circulation, and produce more sweat during exercise. For best results, we recommend using a waist trimmer or other slimming device for best experience. Manufacturers Warranty: This product is backed with the TNT Pro Series Money Back guarantee - If you don't love it, you don't pay for it - Simple as that! 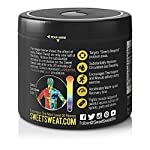 SWEAT MORE, BURN MORE: Special heat inducing body slimming gel opens skin pores for improved circulation while working out ADVANCED WORKOUT ENHANCER: Colorless, Non-Staining, Fresh Sweet Minty Scent targets sweat glands to increase perspiration during exercise BEST SLIMMING CREAM FOR FAT REDUCTION: Ideal training aid for men & women wanting to burn belly and tummy fat For Best Results, use TNT Pro Series Body Wrap Products in conjunction with TNT Pro Ignite Sweat Cream - Check out our selection of Waist Trimmer Belts and Upper Arm & Thigh Slimmer Products! Manufacturers Warranty: This product is backed with the TNT Pro Series Money Back guarantee - If you don't love it, you don't pay for it - Simple as that!